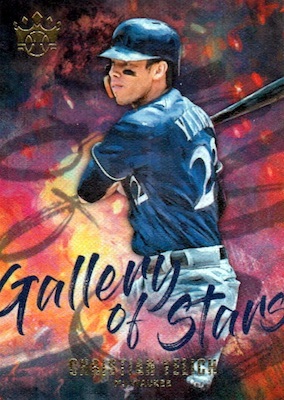 2019 Panini Diamond Kings Baseball continues the throwback, artistic vibe for another MLB season, covering retired stars and current players, plus top rookies and prospects. 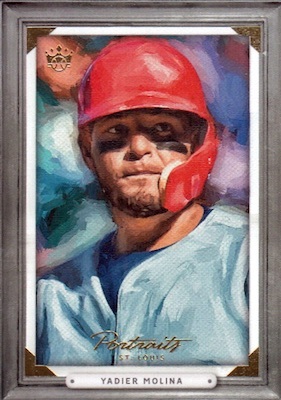 Collectors should uncover one autograph and one memorabilia card per Hobby box. The brand doesn't stray far from the 2018 edition, but there are a few tweaks and some new options. 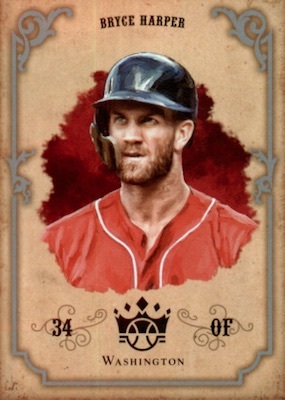 Like a painting ripped from the frame, the base set in 2019 Panini Diamond Kings Baseball displays a unique look. Each Hobby box averages one Artist Proof and three Framed parallels. In addition, inserts combine to fall one per pack. All-time pitching greats fill out the lineup for The 300. 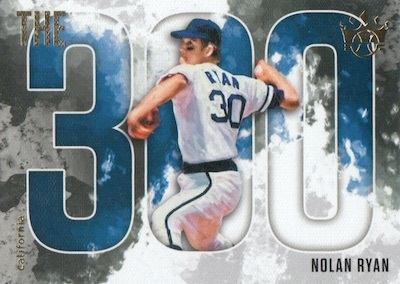 The set includes 10 of the pitchers that reached 300 wins. DK Flashback revisits 20 notable players at the beginning of their MLB career. 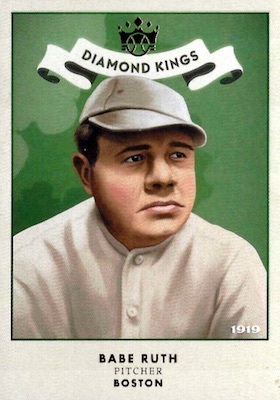 Imagining what might have been, 1919 Diamond Kings takes DK to an even earlier period of baseball card designs. 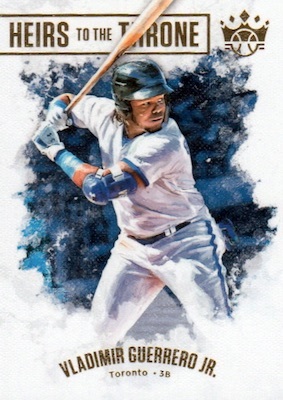 While the mid-level product does rely more on the base cards and inserts, the 2019 Panini Diamond Kings Baseball checklist still contains a lot of hits. Autographed choices include DK Signatures, which also has four parallels numbered to 99 or less, and dual-relic DK Materials Signatures. 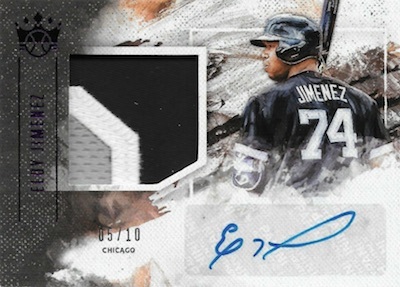 This set contains the first autographed memorabilia cards from Panini for 2019 rookies. 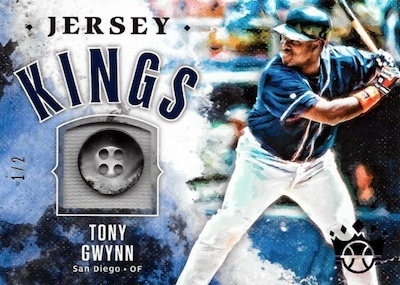 Throwback-inspired inserts include DK 205 Signatures, based on the T205 design, and dual-relic Retro 1983 DK Material Signatures. 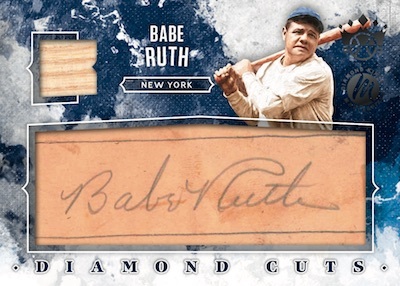 And the luckiest collectors might come across the Diamond Cuts Materials cards featuring cut signatures from past greats. 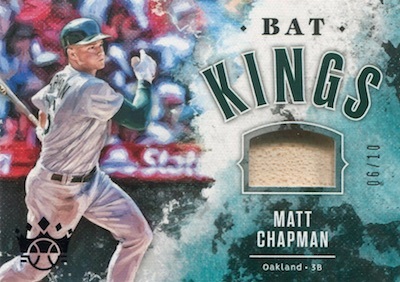 2019 Panini Diamond Kings Baseball also makes plenty of room for the relic cards. 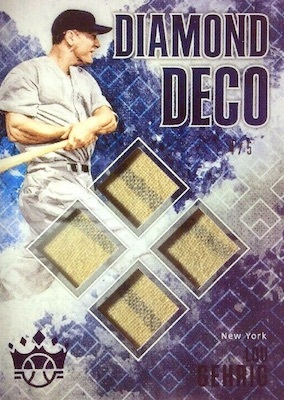 Falling one per box, collectors can find memorabilia pieces in Bat Kings, Jersey Kings and DK Materials, among others. 2019 Panini Diamond Kings Jim Catfish Hunter Diamond Cut Auto 3 5 RARE !!!!!! 2019 Panini Diamond Kings Nolan Arenado 205 Series Auto 14 25! 20 cards. Full guide and gallery. 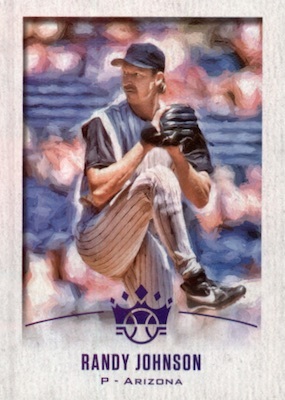 Buy 2019 Diamond Kings Baseball autographs on eBay. View the 2019 Diamond Kings Baseball checklist Excel spreadsheet. It’s almost just like 2018 which I didn’t like either and didn’t purchase. Maybe it would be better if they were licensed by MLB. Personally I have always liked these. Its something different and dont mind the loss of logo’s on this product…the others, it feels more noticeable to me. Really looking forward to seeing the checklist. 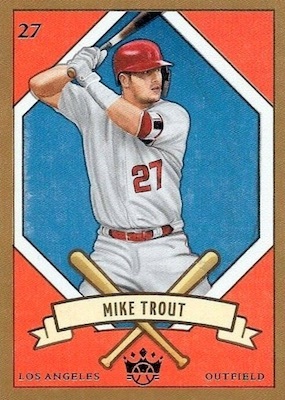 The lack of logos is a tired argument, I think everyone understood years ago this is the case for Panini baseball products. 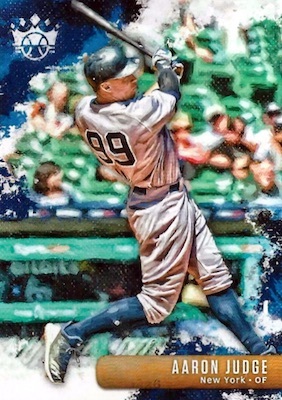 Regardless, the look of DKs is something Topps has never been able to successfully replicate. These cards look great and the checklist is very strong as well. Opened a couple FOTL boxes and was blown away by the design, inserts look great and I can’t wait to rip a case! 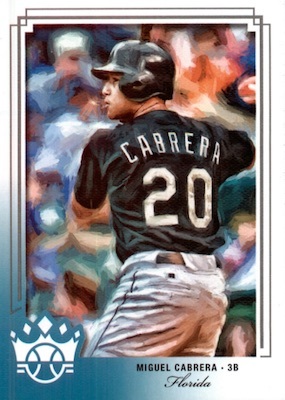 I’ve always liked these cards and don’t miss the team logo’s much at all. They’re different and I am more interested in the player than the uniform itself. Every box that I’ve bought has had a great assortment of cards. I especially like the older players depicted like DiMaggio, Jackie Robinson, Clemente, and Satchel Paige. 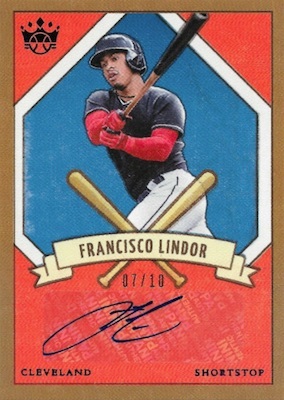 I generally am more of one to like Topps cause they have the logos, but these look beautiful and have made me reconsider. you pay up your money for a box..
open all 12 packs.. and its so terrible.. I dont have any issue with the logos no logos..
no one gives a damn about variations — stop that crap already… Panini thinks its justifying box value… duh NO ITS NOT – no one cares. and all the old designs.. to make up a pack hit… neglible also who cares..
the box price is based on what value they want you to possibly think you could get from a box — but good luck. Any other company that sells sports memorabilia -openly prices their product based on what people will pay and what the market demand…what people are willing to pay..
We’ve opened several boxes of these and have found it to be a really nice set. 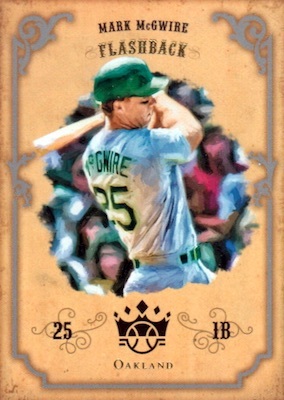 Base cards are obviously beautiful looking cards, and the inclusion of the old-time players feels natural, not like Panini is just trying to cheaply fill out a checklist. 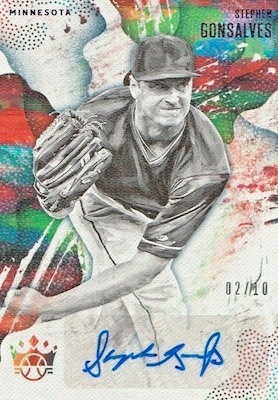 I can’t say I’ve ever gotten a Satchel Paige card out of a pack before, so that’s a fun new experience. 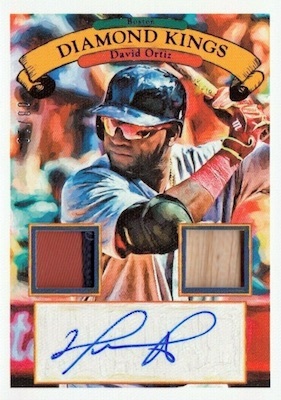 The retro DK’s and Flashbacks are nice as well, and we’ve gotten a nice mix of relic and autographs. An excellent product for the price! 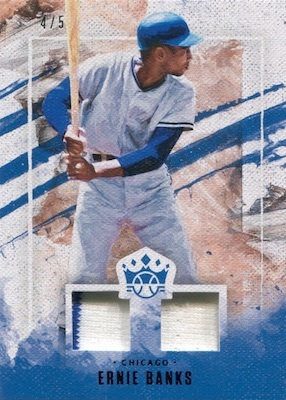 2019 Panini DIAMOND KINGS BASEBALL Hobby Box - 2 Auto or Memo Cards per Box!!! 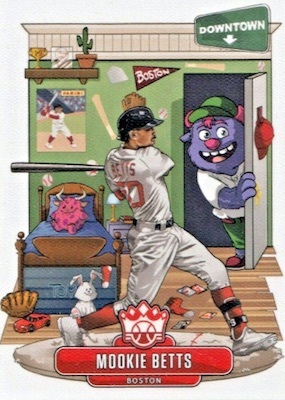 1st OFF THE LINE 2019 Panini Diamond Kings Baseball Hobby Box FOTL NEW SEALED .